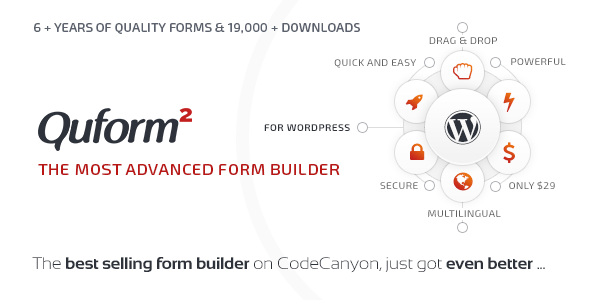 Quform is an advanced WordPress plugin that allows you to create multiple forms quickly and easily. Using our form builder is made simple with drag and drop and one click functionality and it works in all major browsers. It’s compatible with WordPress versions 3.1 and above. If you’re worried about styling, don’t! Styling your form is a doddle with our theming system and style options. It’s suited for both novice and advanced web designers.